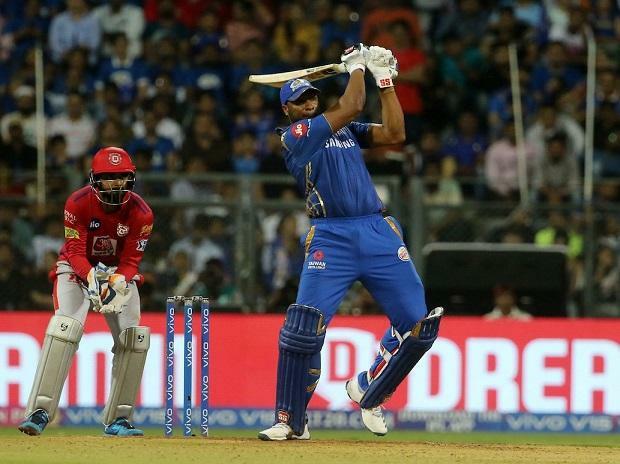 After his thrilling performance on Wednesday against Kings XI Punjab in the ongoing Indian Premier League (IPL), Mumbai Indians batsman Kieron Pollard has said that he has a lot of cricket left in him. "I am a cricketer, I am 31 years of age and I have a lot of cricket left in me and I think people who are close to me, back me and that is most important," Pollard said at the post-match press conference. Pollard's last appearance in an ODI was in October 2016. When asked about opinions being made about his performance in the last few years, Pollard said: "When you are losing, people tend to have all sort of opinions on you, you cannot stop people from that. Every time I get the opportunity to play, I want to do my best." He also praised fellow West Indies players, saying: "I think Chris batted superbly well. Fellow West Indian [Andre] Russell he's smacking the ball and it's great to see the way he's hitting the ball and [Sunil] Narine. These guys are having a good tournament and again it is just about enjoying cricket." Pollard hammered 10 sixes and scored 83 off just 31 balls which helped his team register three-wicket victory over Punjab.